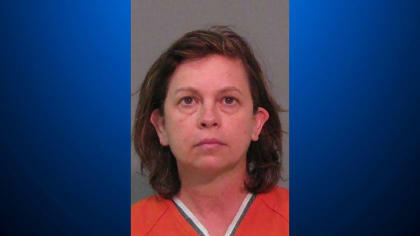 CLOVER, S.C. -- Authorities say a South Carolina woman has been charged with murder after killing her husband by putting eye drops into his water for several days. York County deputies said 52-year-old Lana Clayton confessed to investigators after an autopsy uncovered a high amount of tetrahydrozoline in her husband's body. Authorities say 64-year-old Stephen Clayton was found dead July 21 in the couple's home in Clover. WSOC-TV reports that his funeral was held in the home's back yard before the autopsy results revealed the cause of death. The Herald of Rock Hill, S.C. reports the couple lived in a house modeled after George Washington's Mount Vernon estate. Steven Clayton owned the home which was valued at more than $800,000.